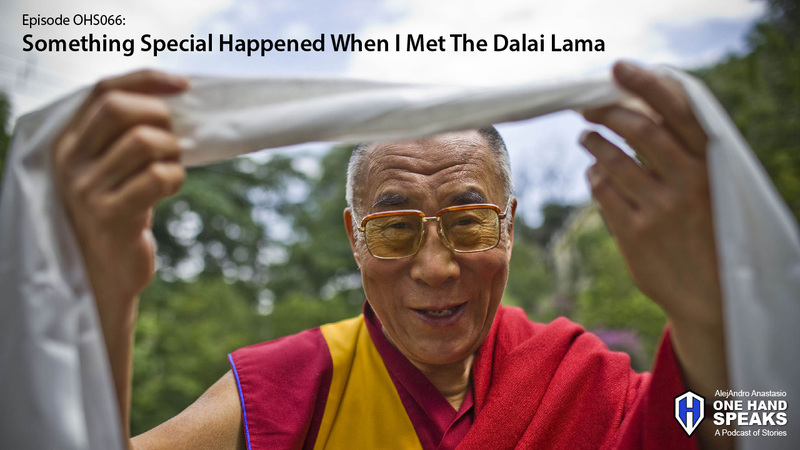 Something very special happened when I met the Dalai Lama in 2005. He was coming to Sun Valley, Idaho to give two public teachings. It was an incredibly rare opportunity to be able to attend. It was even more rare to attend with my local Boise Sangha and our Tibetan Buddhist teacher, Dzogchen Khenpo Rinpoche. The first one was specifically for children and the youth of America. The next day was a general public teaching for adults. What we did not know until the day before we arrived in the city of Sun Valley, Idaho was the Dalai Lama was giving a third private teaching to the Tibetan Community. Our teacher was able to get a few of us non-Tibetans into the all-Tibetan teaching. The Dalai Lama delivered the teaching in the Tibetan language with no translation to a small group of about 300 people. It was on this day and at this teaching back in 2005 when met the Dalai Lama. It was in that momentary meeting something very special happened. The Dalai Lama’s visit to Sun Vally, Idaho in 2005. AlejAndro’s personal and power two experiences meeting the Dalai Lama. Spending some personal time traveling with your Buddhist Teacher. DalaiLama.com – The official website of His Holiness the 14th Dalai Lama. Sun Valley, Idaho – The city of Sun Valley, Idaho. Dzogchen Lineage, USA – The web of AlejAndro’s Buddhist Teacher, Dzogchen Khenpo Choga Rinpoche.